Do you guys know the distance between prop centers in the following models? I hear the Police special (used in US east coast) had a steerable nose-wheel and a wide bench seat (theoretically one seat for US part 103 regs). Interested in the single engine flight characteristics of these models with Solo 210 direct drives or the Zenoahs, e.g. do they have a single engine service ceiling with one 180-lb pilot? I see on Wikipedia that the two-seaters had the engines far enough apart that they had a better glide with both engines off than with one at full power (probably due to asymmetric effects and heavy control inputs to stay upright). as a "veteran" 2-seat driver (i'm sure dave aldous will pass me any day now in flight time) and veteran single-engine 2-seater driver (i'm sure i hold the record here) i can honestly say that single engine performance in the 2-seater isn't that bad. i've had an engine fail on climbout at the end of a runway, and was able, on the single engine still running, fly a tear drop pattern and land downwind safely. i don't know who wrote that wikipedia article, but it was good and bad at the same time. Thanks guys; the background is very helpful. I'm in contact with Daryl von Cunningham in NC who has what he was told was a "Police Special" sold the the Winston Salem PD. 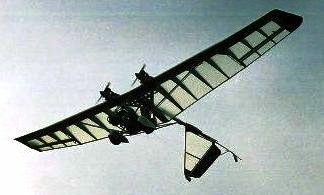 Daryl bought it in ~1995 in WV and flew it a bit. Daryl has flown 4 Lazairs and seems quite active in ultralights. Anyone have experience with Daryl? His Lazair apparently has tricycle gear, steerable nose-wheel, and tundra tires, probably like the tri-gear on pictured on the link you sent: http://lazair.com/forum/index.php?showt ... hl=lazflyn. What diameter and pitch of prop would be appropriate for this plane with Solo direct drive? Is there a better engine prop choice like Solos with redrives? I'm trying to catch up with your historical postings and doing a bit of research to see if this would be a good first Lazair for me. I'm a multi-rated commercial pilot, so I might do extensive documentation of the restoration to see if I can get an experimental amateur-built registration that would allow me to fly into our local controlled fields and to log multi-engine time while I am out messing around. I feel like I can chime in here on two-seater performance. I've logged 22 hours on mine and have also have a fair amount of time in a series III. First, the only reason that I would cut power while single engine would be if I were close to the ground and thought that I couldn't climb over an object. I would be hard pressed to pass up on a landing site if I honestly thought it were still a viable option. The single engine perfomance on my two-seater is night and day to a stock series III. In a series III I can just barely maintain level flight, but in my Lazair 2 I can climb. Not fast, but hey, climbing is climbing. My two-place is registered as an experimental-amature built since the Light Sport catagory excludes multi-engine. With just me in it, it climbs like crazy....I cannot begin to imagine KFMs on a single place, even if the SS was loaded with all types of gear, radios, ect! If memory serves correctly, I think that it was the Montery Police Dept that used them. If I had a single place that was converted to tricycle gear I would absolutely without a doubt get it back to it's taildragger status. A Lazair is 100 percent controlable on takeoff roll or landing rollout. I never understood the need to go to a nosewheel, besides how cool is it to fly a 103 legal machine that drags it's tail and is twin engine. Other than when it's parked, my Lazair 2 is never on it's tailwheels. That is the only thing about my machine that I wish were different. If you have any pics of the Lazair your looking at, post them on here. I can't say for sure, but "the guys" on here can probably tell you something about it's past. For what it's worth the distance between my crankshafts on a Lazair 2 is 58". I got to thinking about this post the other day and measured the distance. I'm back doing some work on my plane: installing bottom external capstrips, new props, and some spinners. G'day dave, that is one fantastic photo of the ASI in the sunset. any details on that like where and when ect. > distance between my crankshafts on a Lazair 2 is 58". Anyone have the measurement between crankshafts on a Series III, Elite, or SS (apparently all the same; thanks Shannon)? Greater distance between crankshafts should increase Vmca and decrease single-engine rate of climb, but Dave's results show that any such effect on this airframe can be more than offset with a lot of power. I know I am abit late on this discussion but the engines are basically in line with the ruddervators. You will notice on the 2 seater the engines sit inboard on the D cell about 1 foot closer to root end then on single seaters. If you are planning to re-locate your engines you have better think first why. Plus the 2 seater D cell is differently modified to accomadate the movement of the nacelles inward. I got 2 more D cells jobs sitting here now waiting to do. Hopefully get at them in next week. > about 1 foot closer to root end then on single seaters. Counter-intuitive; I'd have guessed that the wider seating on the 2-seater would result in the engines being further apart than on the one-seater. No, just trying to spec out the differences between the one seater and two seater so I can choose the best one for my purposes. So far Dave has provided the only measurement, 58" between crankshafts on his restored 2-seater. Does anyone have the distance between crankshafts on their 1-seater? Nobody has shown any data on single engine service ceiling (the density altitude you can maintain with only one engine running). This concept is not relevant to the lower-power planes, but I'd be interested in knowing if the Solo with redrives, Dave's 2-seater, or others can maintain altitude on one engine, and if so, how high? The 2 seater had about a 2 foot section between the wings to accommodate the second person. Using wings with standard engine placement would put engines about 2 feet further apart than a singe seat lazair and you would lose ruddervator effectiveness from the prop wash at slower speeds. 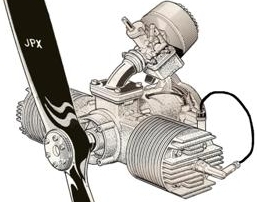 Also on single engine operation you would end up with more yaw from the further outboard engine and likely not enough ruddervator to give you as much control as you would with the engine in further. The 2 Seater is mounted about a foot closer to the root.